The Upper Grand DSB has participated in many Trusted Tester programs over the past couple of years. Working with our staff, students and project leads from Google, we have provided valuable feedback on the Google Classroom App for both Android and iOS. The Upper Grand was one of the very first school districts to test Google’s virtual reality system in the classroom. 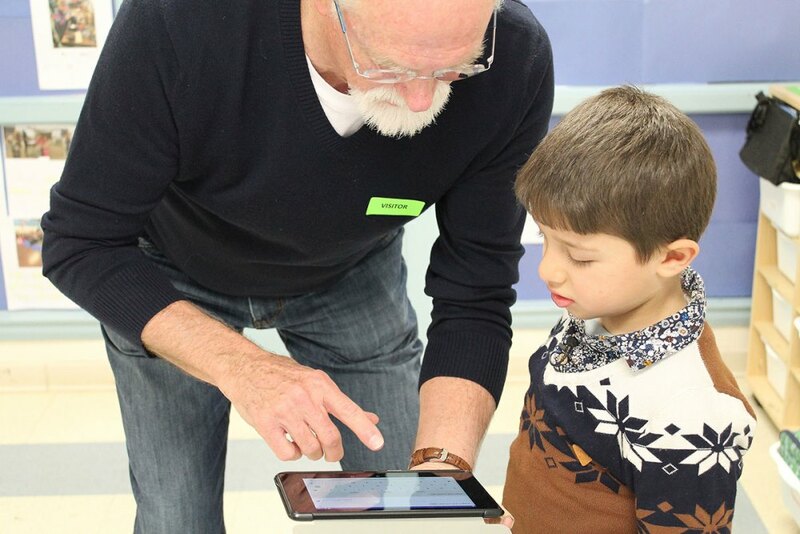 Our board was the first school district outside of the USA to work with Google on their Nexus 7 project, bringing Android tablet pilots to the classroom. This good relationship continues with board staff on Google’s advisory committee for Chromebooks in education. 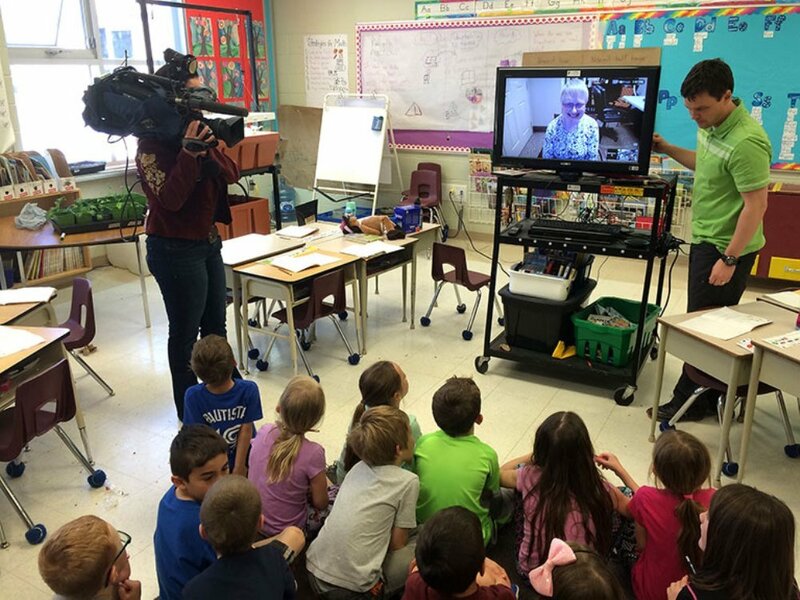 In January 2016, Google brought its virtual reality road show to Upper Grand schools. The road show was part of the Google Expeditions Pioneer Program, which brings immersive virtual journeys into the classroom, bringing lessons to life. Google teams visited 14 schools across the district, taking students through engaging journeys, touring places around the world where school buses can’t go. Teachers chose Expeditions to lead that fit seamlessly into their curriculum and used the Expedition as a jumping off point for further lessons and exercises. Upper Grand was one of just four school boards in the country that took part in the Canadian road show after Google approached the board with the opportunity to participate. 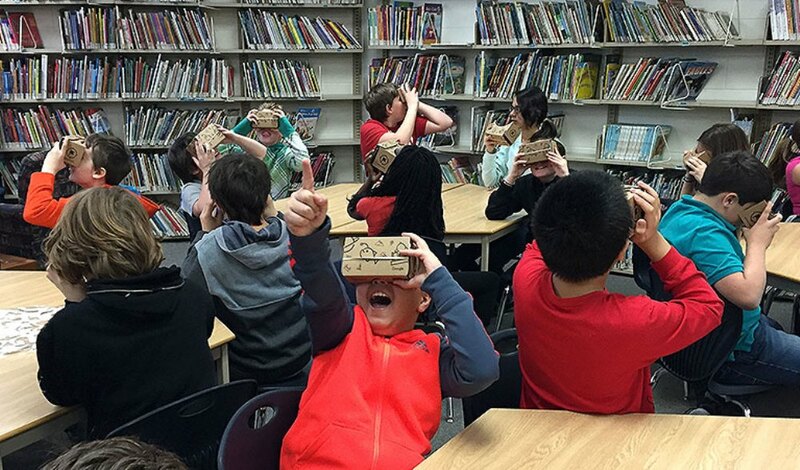 Read more about Google Expeditions at UGDSB here. The Upper Grand District School Board continues to welcome newcomer families into our communities from countries including Syria, Eritrea, Sudan, Congo and Afghanistan. When Syrian refugee families first began settling in our communities, the board saw an opportunity to use technology to make the transition for the new students more welcoming. To help with translation, the board provided schools with newcomer students with Google Nexus 7 tablets, equipped with Google Translate. Google Translate allows users to communicate by either speaking, typing, handwriting or scanning text and have it translated between English and more than 100 different languages, including Arabic. The technology doesn’t require WiFi to use, so the children can use the tool when at home as well. Read more about how the board uses Google Translate here. One school in the Upper Grand is using technology to bring together students and seniors, bridging generations and the digital divide. Montgomery Village Public School uses Google Chromebox for Meeting to connect students with seniors at a local retirement home. The school set up a Chromebox in both the classroom and in the library of a local retirement home, allowing the groups to meet regularly, without worry of transportation, illness or any other barriers. The board hopes to expand this program to more schools. Read more about the community-building program here.